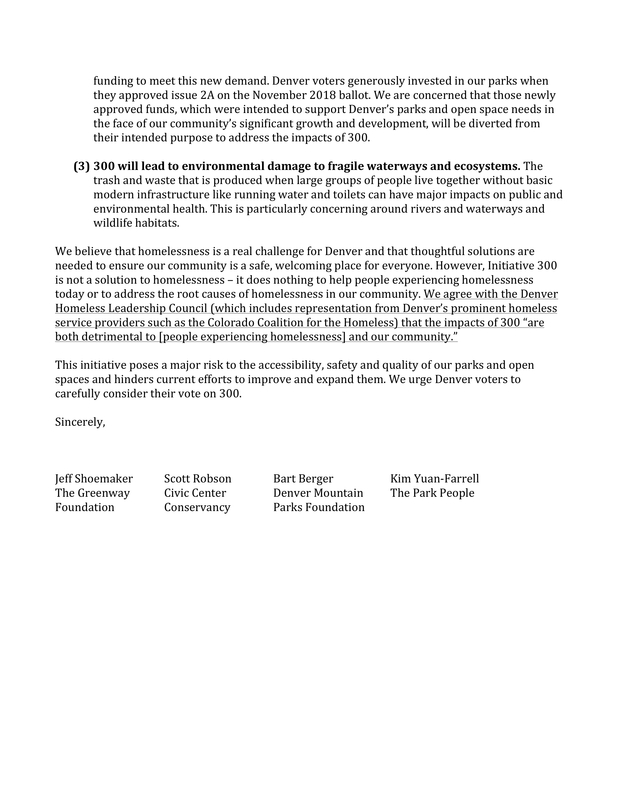 Along with three of our closest partners (Denver Mountain Parks, Civic Center Conservancy, and the Greenway Foundation), The Park People has released this letter of concern regarding Initiative 300, which will appear on Denver's spring ballot. 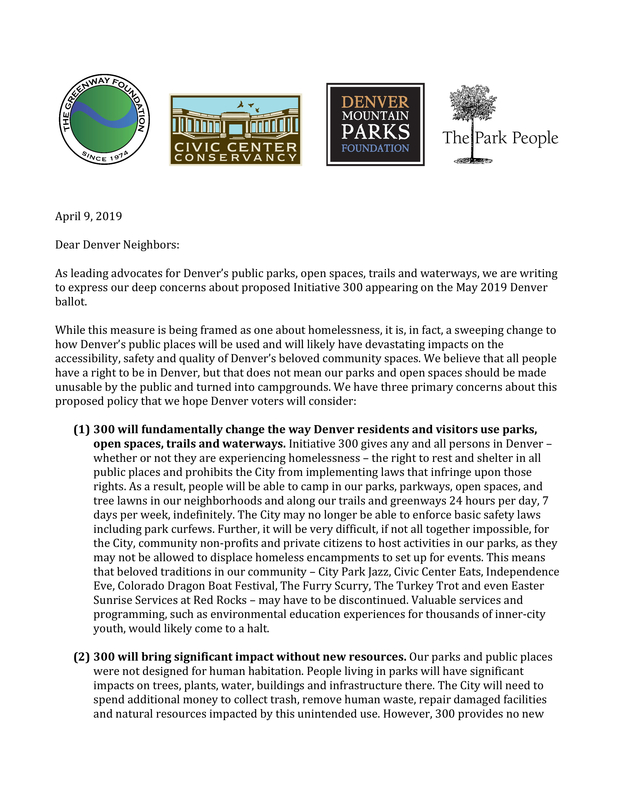 We hope Denver voters will take the time to review the letter and consider how Initiative 300 could impact the accessibility, safety, and quality of our beloved community spaces. Click on image of letter below to view as a PDF document.